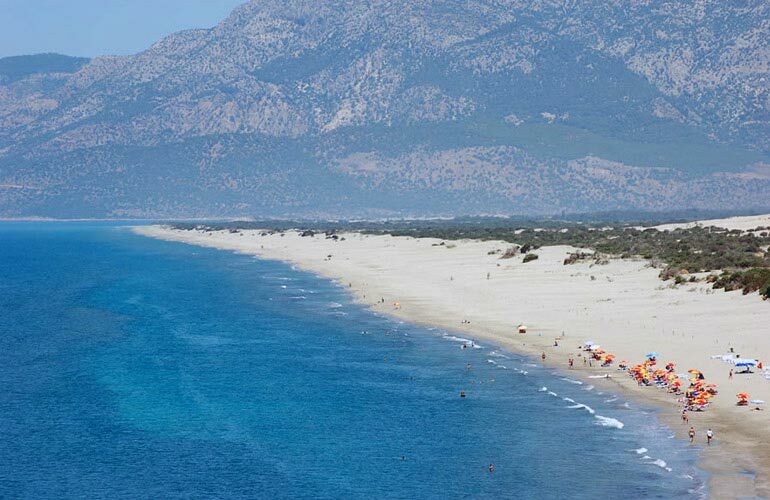 Patara Beach 18 km long white sandy beach. 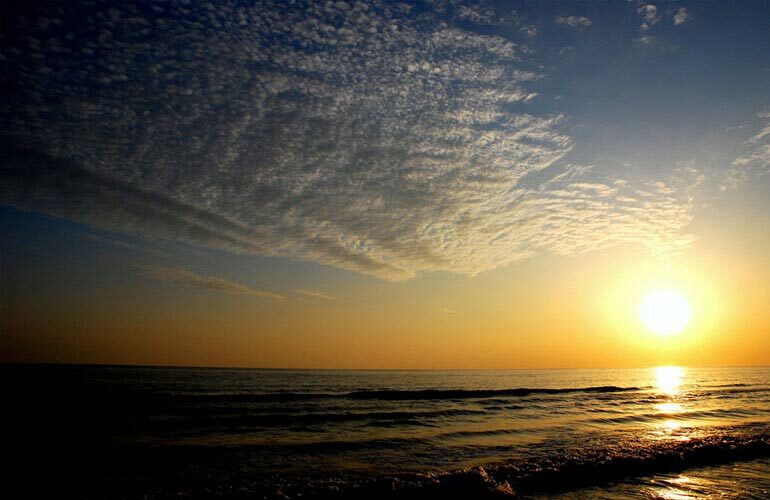 Patara beach is world famous with its 18 km of golden sands which forms scenic sand dunes and gorgeous beach which is voted as one of the best beaches in many different media. 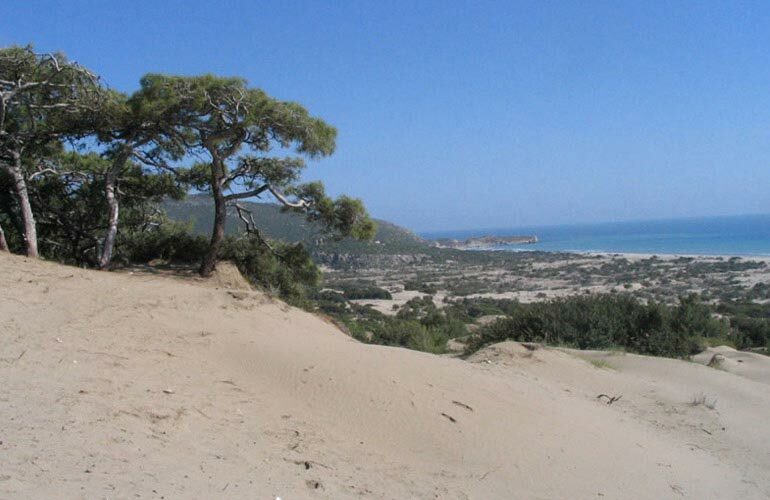 Strict laws kept Patara beach unspoiled by forbidding to build around. It is all white sand even a pubble can not be find .Patara beach is so special, it is a good place to rest and enjoy nature and also it is home to the Caretta Carettas. The only man-made thing at the Patara Beach is the Beach Café which is run by local governorship to promote local facilities. Umbrellas and sun beds can be hired for a affordable price from the café or one can have some privacy with walking a bit. To get to the beach our guests simply can use our shuttle service or walk to the beach across ancient city of Patara which will take approx. 20 min. * Caretta Carettas are beautiful sea turtles which can weigh up to 200kg. They come to Patara beach at night in summer months to lay their eggs. New turtles come after 60 days and they head to reflection of moonlight in the sea.Most interesting thing is they come back to the same beach to lay their eggs from thousand km away. 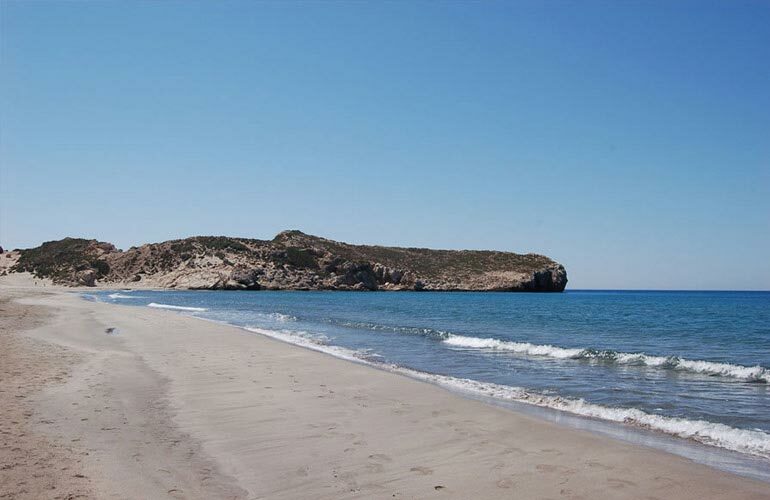 In order to keep this species Patara beach has to be protected. Beach is so long that everyone can find some privacy. If walked down at the sand dunes there is almost noone. At the Beach there is a beach cafe run by tourism association of Patara. At Beach cafe umbreallas ans sunbeds can be rented and food and drinks can be bought for a good price. At 11:00 and 16:30 we have free shuttle service to Patara Beach. It is a short ride trough the ancient city of Patara. There is also local busses which does the service very often.